Longer-lasting pain relief, joint mobility improvement and restoration of synovial fluid’s properties – these are just some of the things you can expect after a knee treatment with Optivisc Single. 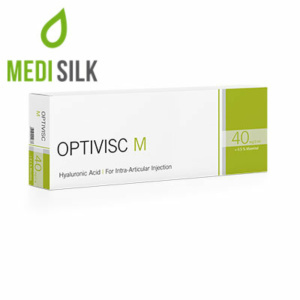 Developed and produced in Switzerland and distributed by Medisilk, this fast-selling viscosupplement is the solution which knee osteoarthritis patients have been waiting for. It does not involve a knee surgery but the effects it offers are durable – up to 12 months. Optivisc Single is classified as a pioneering single-shot viscosupplementation, designed by Switzerland-based company Biotech Healthcare Group and sold all over the world. 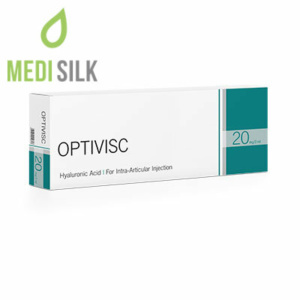 It contains premium quality Hyaluronic acid that is highly biocompatible with the human body and it naturally dissolves over a period of several months. This substance restores and boosts the lubricating abilities of the synovial fluid. As a result, osteoarthritis patients who undergo treatment with this advanced product enjoy pain relief, better mobility, reduced knee swelling, and no stiffness. 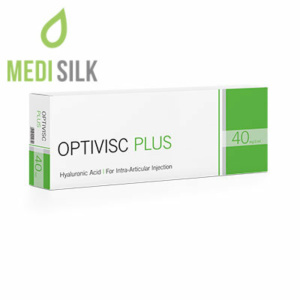 Since the concentration of cross-linked Hyaluronic acid in this outstanding viscosupplement is higher than that in other similar products (90mg/ml), its effects’ longevity is twice greater (up to 12 months). This exceptional orthopedic product is sold in a box that contains 3 latex-free prefilled syringes and its serves as a pure and safe exogenous source of Hyaluronic acid developed exclusively for the fast treatment of knee osteoarthritis.